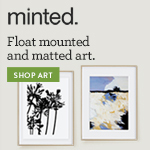 Feng Shui Friday—Do you decant? I recently posted this image of the beautiful pantry of the Emerson, the founder of Emerson Fry (formerly emersonmade). It makes my heart go pitter patter with it's uniformity. However, I knew full well when I posted it that my own pantry would never look like this. 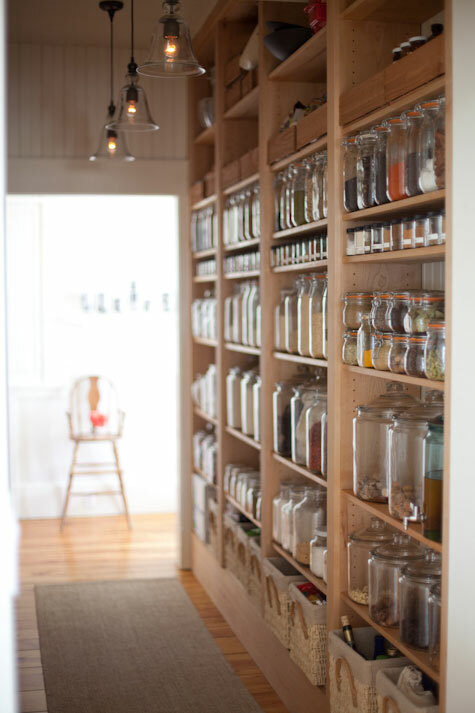 The only way to have a pantry like this is to decant everything into beautiful (and probably expensive) containers. It's a case where practicality must outweigh beauty. I need a pantry with closed doors. However, it brings up a good point. Is decanting practical? I eliminated a lot of upper cabinets in favor of a more open feel and to accommodate a range hood and open shelves. That means this remaining upper cabinet must perform double duty. It is right above my baking/prep space, and also above my coffee maker/drink station. I chose to decant most of my baking ingredients. I also have my oils and vinegar in tall narrow cruets (the oils are kept on a shelf above the stove). So far this system seems to be working really well for me. Space, for one. Maximizing vertical area is key to efficiently utilizing cupboard space. See how my containers stack high and fill the space between the shelves? This is most easily achieve with uniform container sizes. Think of how difficult it would be to stack backing soda, baking powder, salt, etc. otherwise. Aesthetics, for another. Although my containers aren't nearly as pretty as Emerson's jars, I still open my cupboard to a nice and neat appearance. Everything is labeled so I can find things easily. I admired the OXO pop top containers for their square shape and easy open lids (plastic so they won't break as easily in my butter fingers), but at an average of $15 per container it would be a huge investment. I opted instead to buy this Rubbermaid set, 25 containers for $19! 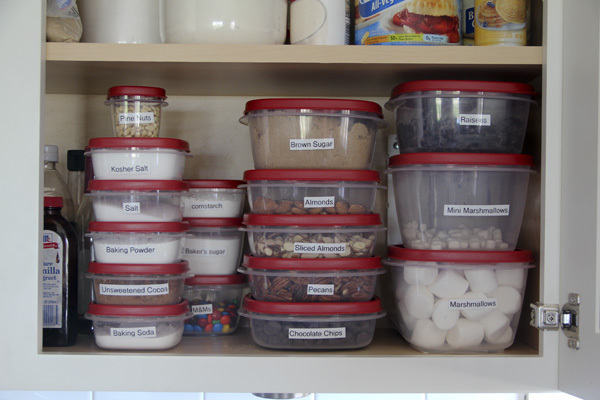 Plus, I can find individual containers almost anywhere to add to my set if needed. Much more cost-effective. Some people decant for environmental reasons, although so far this doesn't fly with me. I still by the same packages of food and empty them into my own containers, tossing the store packaging. I have noticed the grocery store I usually shop at has a nice bulk food section, however. I can bring home many of these items in a simple plastic bag, or better yet, bring my own containers to the store to fill. A disadvantage to consider—I still have to keep the larger original containers for some of these things in another place (oils, flour, and sugar for instance). For the most success, choose a container that fits the size of the package you usually buy. Try to empty your containers completely before refilling to ensure your ingredients are as fresh as possible. Wash your containers occasionally before refilling—and dry them completely! I still have pantry items, such as rice, pasta, and cereal to consider buying containers for. So I'm curious. How do you feel about decanting? Have you tried it, and is it worth it?